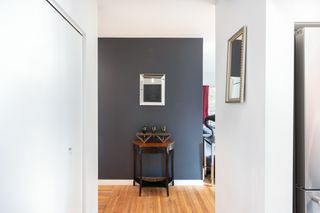 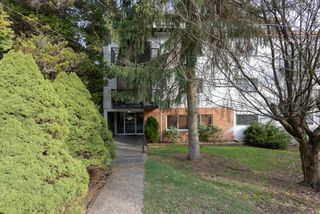 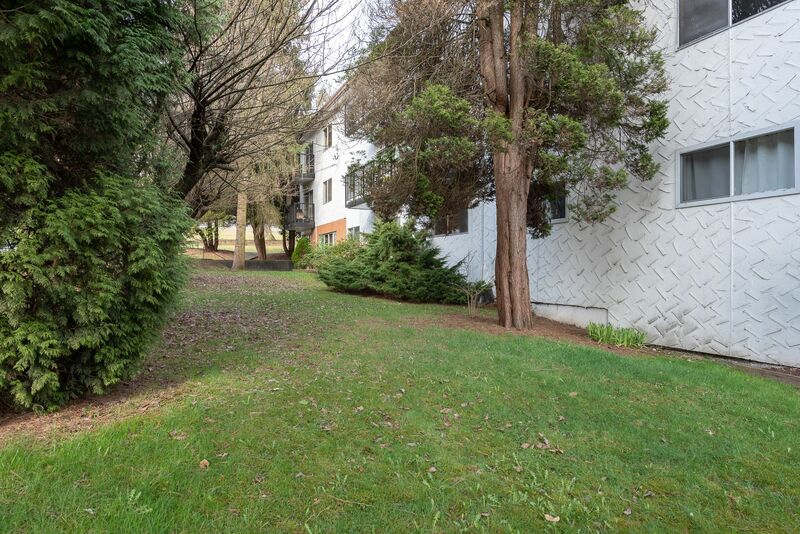 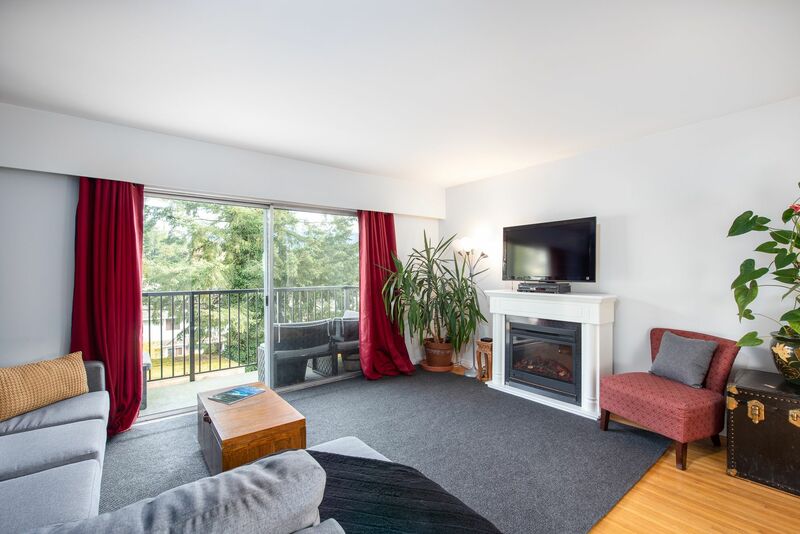 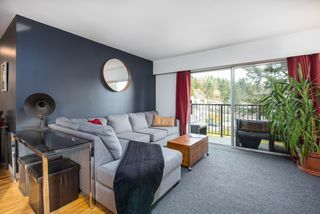 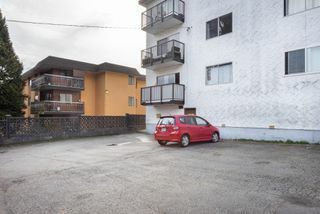 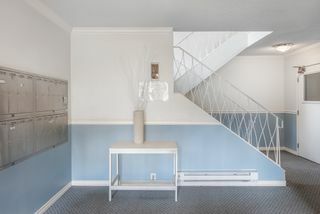 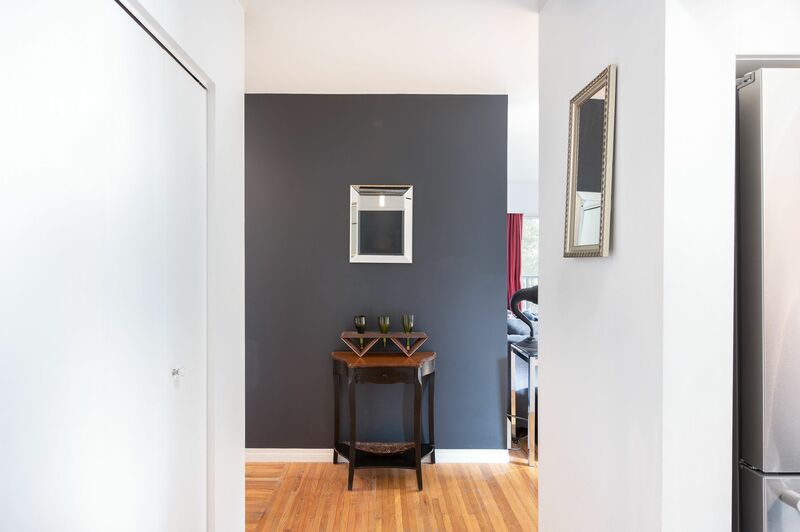 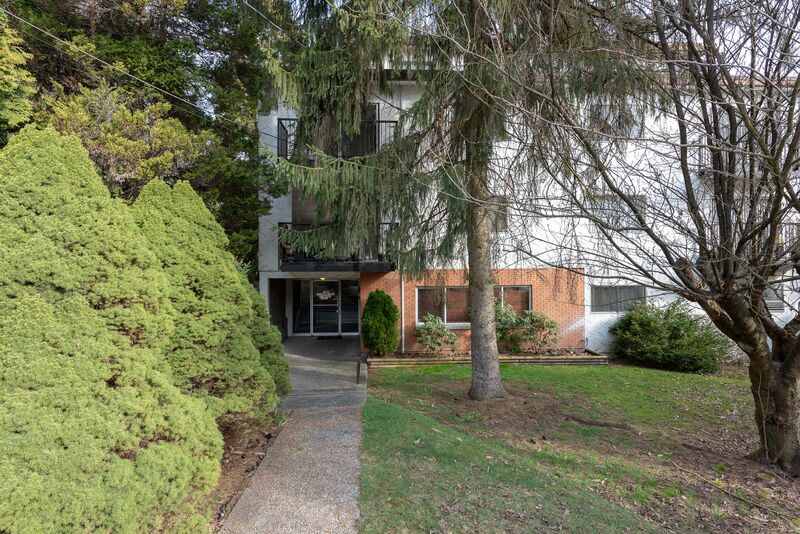 Well laid out corner 1 bedroom 644 sq.ft condo facing the quiet side. 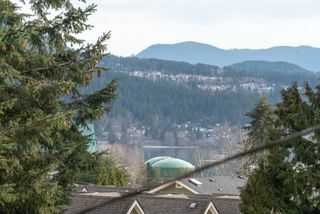 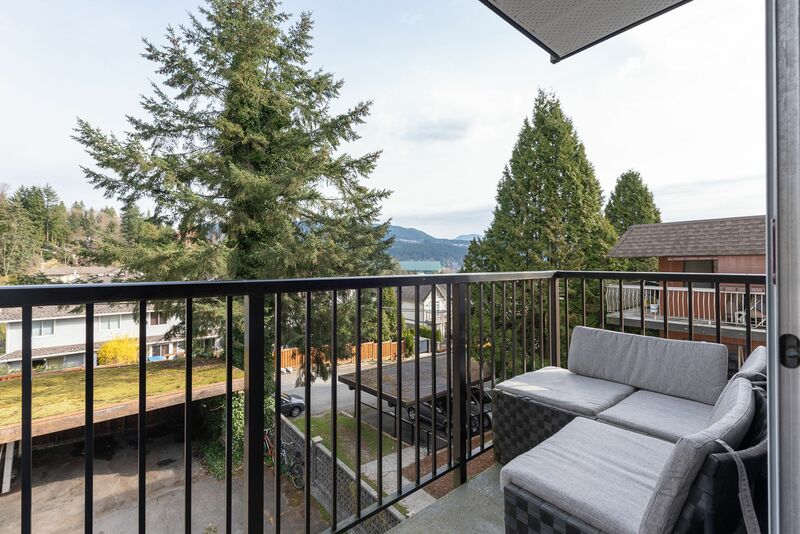 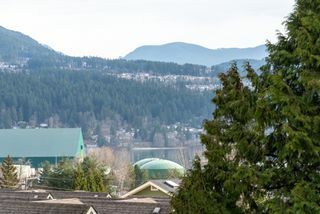 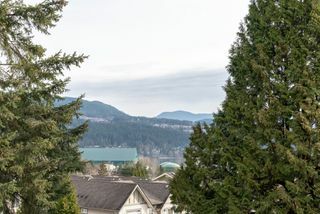 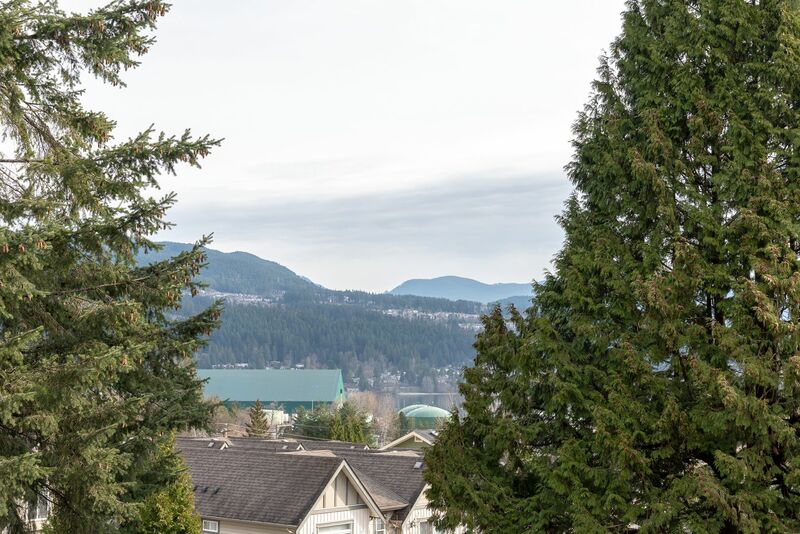 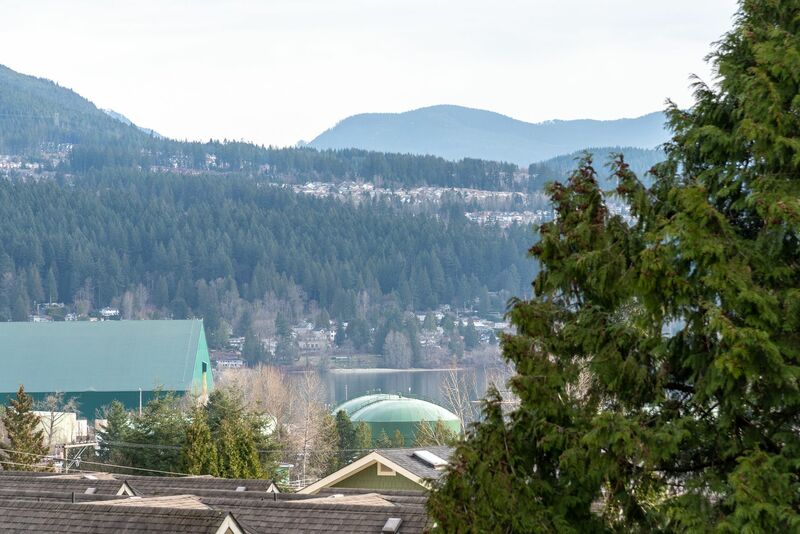 North facing with views of the Mountains and peak a boo water from your balcony. 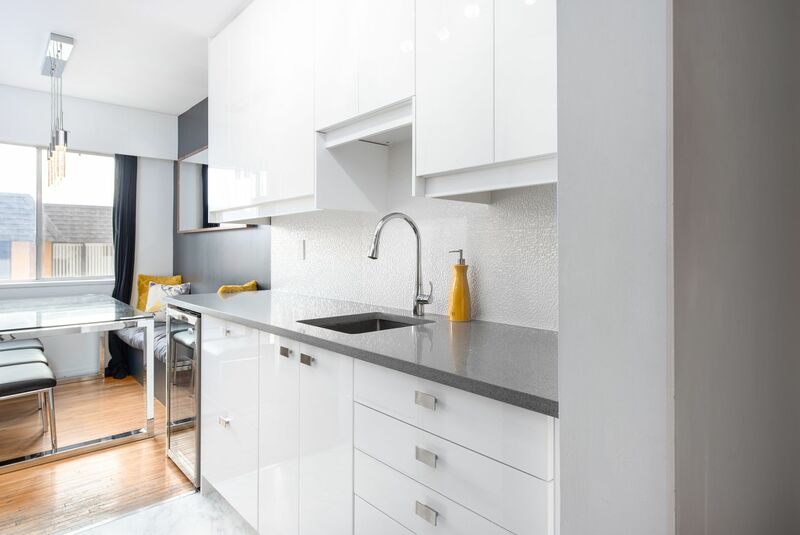 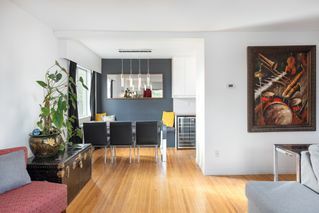 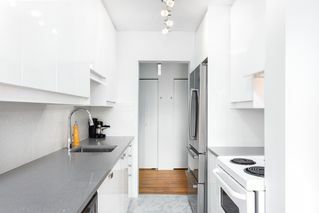 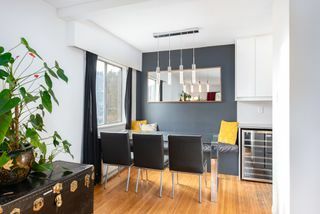 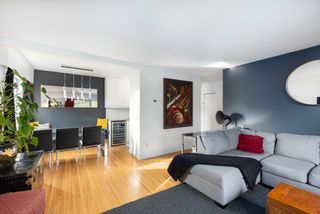 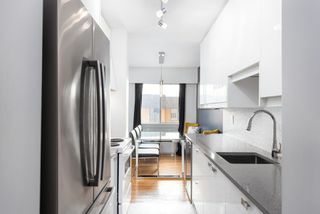 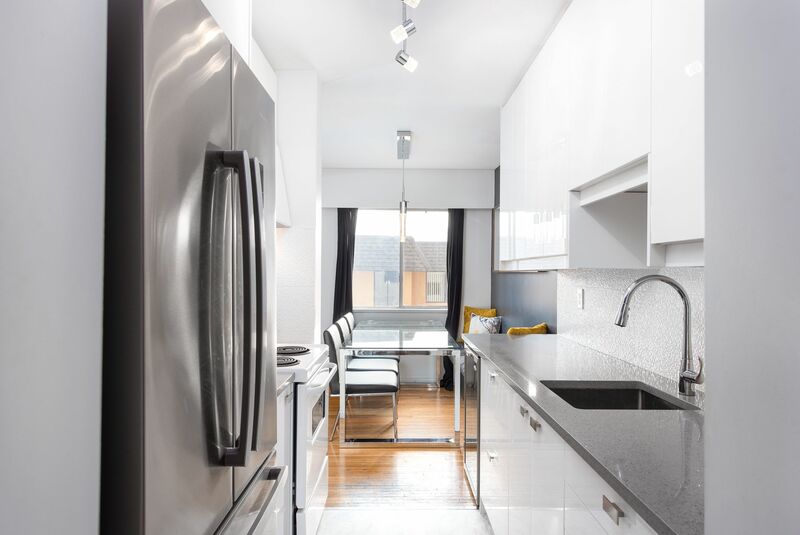 Large Living room with an East facing window and a bench seat in the dining, kitchen was updated with glossy white cabinets, grey granite counters, under mount sink and a modern white back splash. 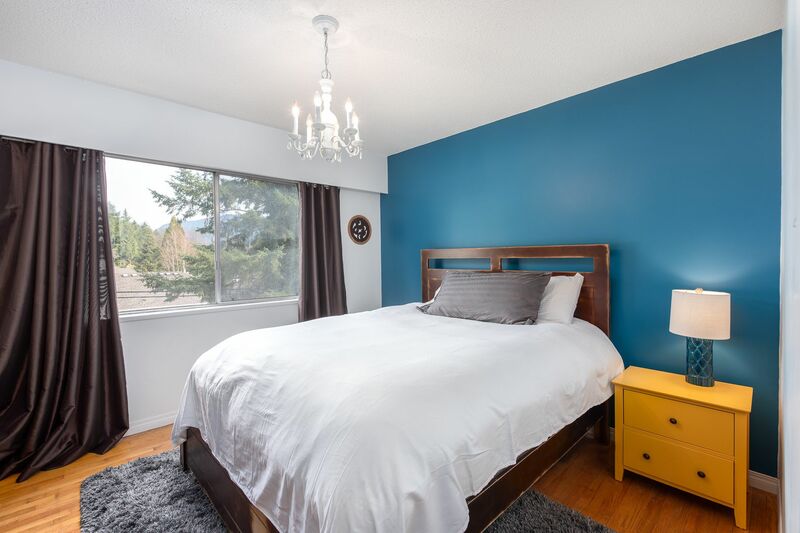 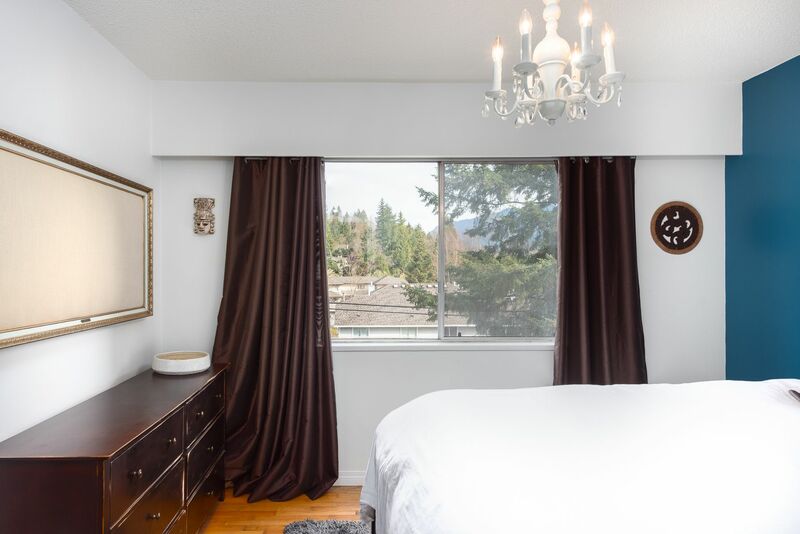 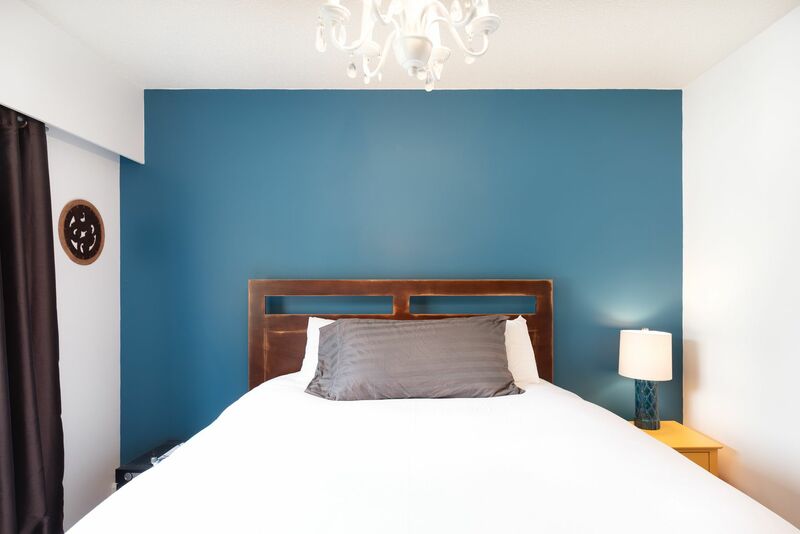 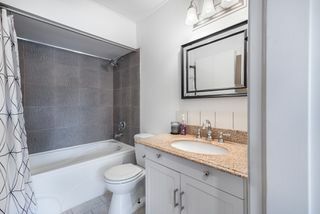 Master bedroom is a good size and also faces North(quiet), bathroom has been updated over the years with newer tiled surround, vanity and hardware. 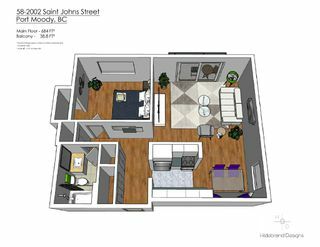 Features includes smoothed ceilings & painted interior,oak hardwood floors, lots of storage in suite, french door bottom mount stainless fridge. 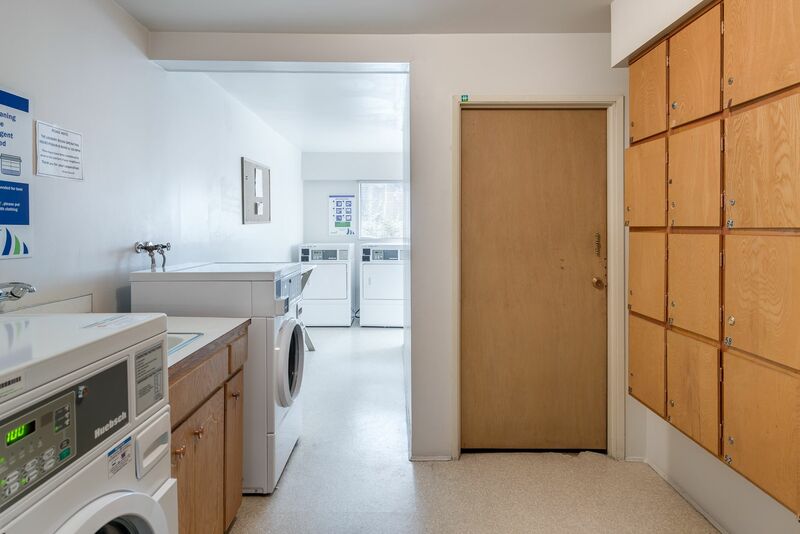 Cats allowed no dogs, rentals not allowed. Parking and storage are on waiting list(seller had both). Open Sunday April 14th 2-4pm.